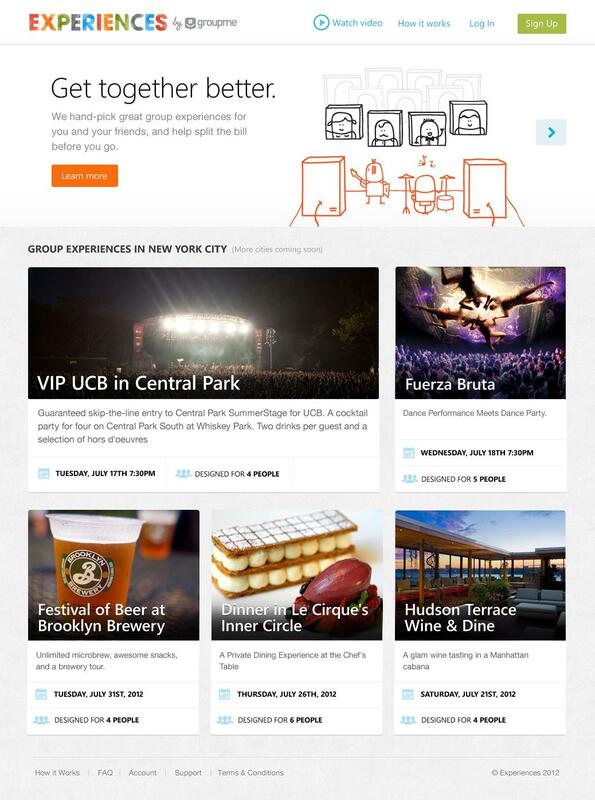 GroupMe, a group text messaging service, announced the launch of its Groupon-like clone, “Experiences.” With this new feature, users will be able to discover things to do around the city, plan around these events by inviting friends, and help with the coordination of footing the bill. “We’ve created Experiences so you and your friends can get together without a hitch at each part of the process — especially the paying part. With our group payment feature, we split the bill for you, so each of your friends can directly pay his or her own way and no one has to front money ever again,” GroupMe announced in its blog post. 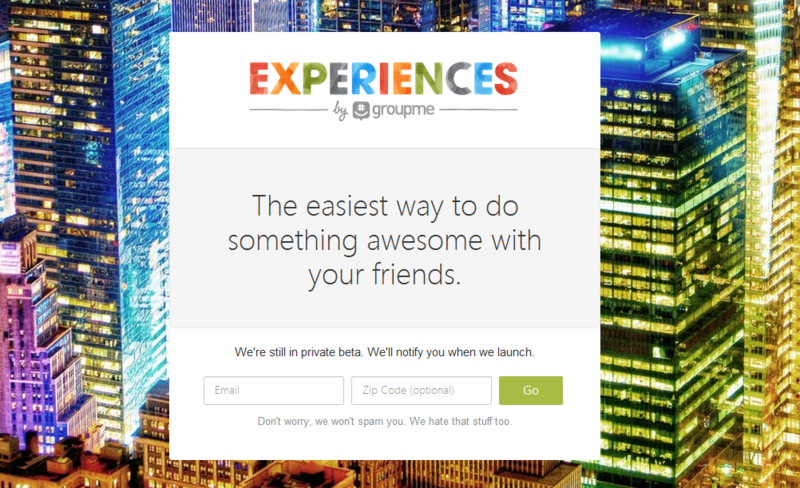 “Experiences” is simply a feature that follows in the footsteps of Groupon and LivingSocial. 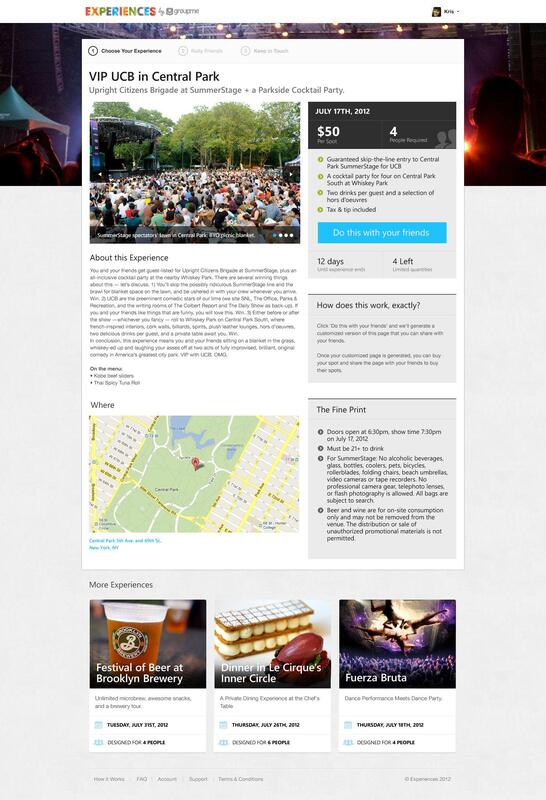 The experiences that GroupMe users can purchase are predetermined packages, like a concert, dinner, or festival. For those of you who typically sit around without a clue about what to do on a Friday night, “Experiences” could be your cup of coffee. You can browse through the types of group experiences, which also lists the perks of each package, and the service even recommends the number of friends that you can enjoy the experience with. Once you’ve selected an experience that you’d like to partake in with your friends, you can invite them to purchase a spot and reserve your place in the group. GroupMe will also offer a GroupMe messaging group, allowing the participants to chat with one another about their plans online and on their phone via SMS messages. For others who like the spontaneity of a night out on the town without having to abide to a strict schedule, “Experiences” may not be the service for you. Currently the service is being rolled out first to New York City. It will soon make its way to other cities, but that would be contingent on whether GroupMe is able to sign on businesses interested working with another, hipper GroupOn.